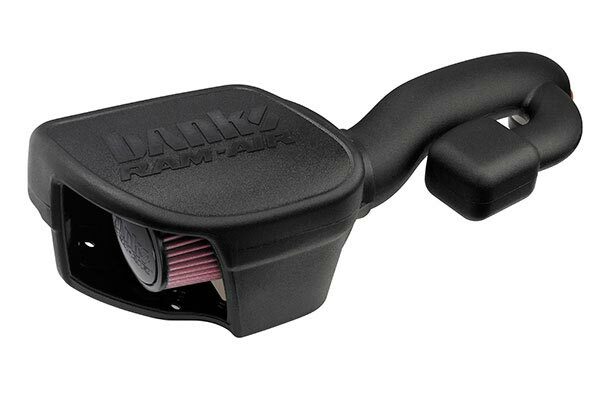 Banks 41820 - Banks Ram-Air Intake - FREE SHIPPING! Easy installation,sounds great, got banks exhaust also,interstate driving mileage went up almost 2 miles a gallon. 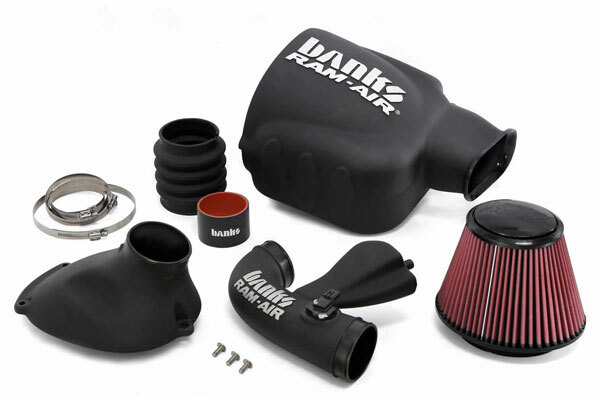 the banks ram air intake looks like it belongs under the hood easy to install high qaulity pair it with the banks 3 inch monster exaust and noticed huge difference in power very responsive .nail it at 10 mph and lights the tires up sounds mean too great combo for titan . I had a bad mold on the MAF intake pipe section, it wouldn't fit the correct way thus the Armada wouldn't start. Called Banks customer service provided them with receipt and pictures and they sent me out a new one and told me to keep the old one. 2008 Titan and since I installed the intake I have been getting an air fuel mix code. Everything is tight with no leaks I can find. The Banks techs were no help with any ideas the 2 times I talked to them. Have to wait to get back in town to work on it again so we'll see? Love the sound from my new intake and the acceleration. Installation was a breeze. After much comparison and research I chose the Banks intake. Excellent choice. 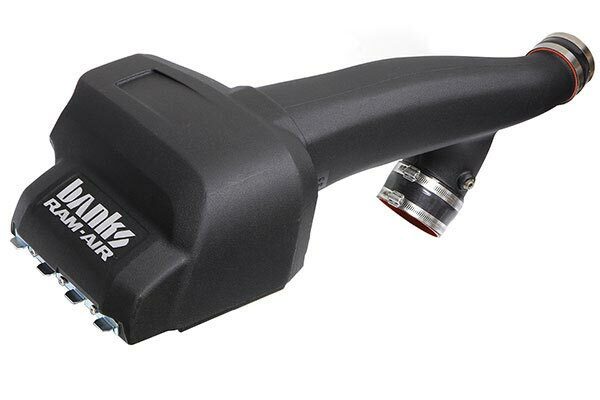 Noticeable change in sound, throttle response, and even a slight improvement in gas mileage. I recommended it to my dad and to buddies looking for stuff for their trucks. Installation was simple. It was harder to get the stock intake out. Cannot go wrong with a Banks. Great product for the money! Be sure to follow the instructions to the letter. Can wait to see how much gas I'll save using this product! installation was a breeze, instructions very easy to follow well made product . a bit pricey ,not sure about millage yet, there is a bit of a drone around 2700 rpm. but sounds great otherwise , and ther is a noticable power increase. 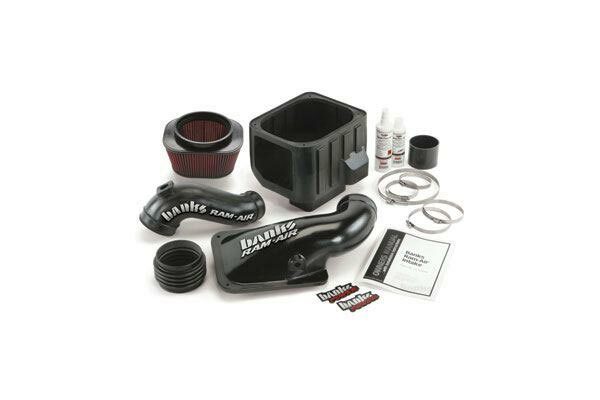 will be buying the banks monster exhaust next. With so many CAI on the market it was hard to make a "good" choice. While the BANKS RAM AIR was not the cheapest it did in fact fit in the factory location with all the provided fasteners and look like a first class install. I would purchase again. I purchased this CAI and the minute it got here I installed it in 20 mins. I already had the old one out so it was an easy install. Once I turned the ignition I thought I was going to hear a difference but I didn't. So I went out for a joy ride and then I knew it was there! I felt the extra power and it sounded like a real truck. I can't wait to get some headers and catalytic converters! Banks instructions say nothing about air conditioner plumbing being directly in the way of filter housing end cap were filter is mounted. I ended up losing two mounting screws getting it on. I purchased a Banks CAI for my Nissan Titan and I am very happy with it. 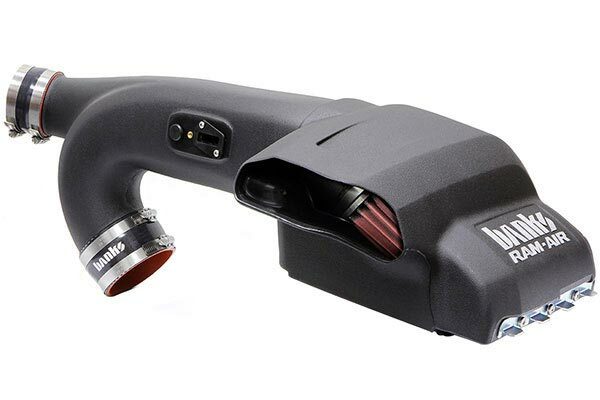 The CAI yields smoother acceleration throughout the entire RPM range. At normal throttle the tone is normal, but once you get more aggressive with the acceleration the engine wakes up and the Banks emits a glorious growl. The Banks CAI is very impressive. Overall quality, fit and finish are excellent. The installation is top notch and appears factory. The fact that the filter element is completely protected is a plus for me. This is not the first Banks product I have purchased and there is a reason why - Banks makes solid products. Don't hesitate, get Banks! Wasn't expecting too much after reading many reviews. Was hoping my mileage may increase by at least 1MPG--Stayed the same. Was hoping for a little more power increase-- May have lost a little. My understanding of my configuration is that you are not going to maximize the CAI and PERF Muffler until you re-configure your computer, now I believe it! Until you modify your system from the Air Mass Sensor back(so to the computer). Everything in front of that won't be noticed until you reprogram the CPU. My configuration is "ready" for a computer program and all 3 together will increase performance! Easy, clear instructions. Quality made parts that fit better than stock. Quiet, with more power! I enjoy the new performance and sound of my Nissan Titan 2006, the banks Ram-Air Intake and the Banks Exhaust system together have provided about 2 additional MPG I am guessing and a noticeable feel in the acceleration/torque and the sound is what I was looking for. Online ordering and dealing with customer service was easy and fast. Shipment to my house was quick and painless. Slight vibration when starting with heavy load or towing. There is a noise like vibration, about mid rpm, when starting from a stand-still when I am towing my camper. Otherwise well pleased with performance, not as much change in gas milage as I had hoped for overall (about .5 mpg). My Titan's in town mileage went up 1/2 mpg and towing went up 1 mpg with my 8000 lb trailer. It feels like horsepower and torque have both increased. There's a significant increase in acceleration and the truck can stay in a higher gear longer prior to downshifting. The only downside is the cost, but it will pay for itself with the mileage gain. 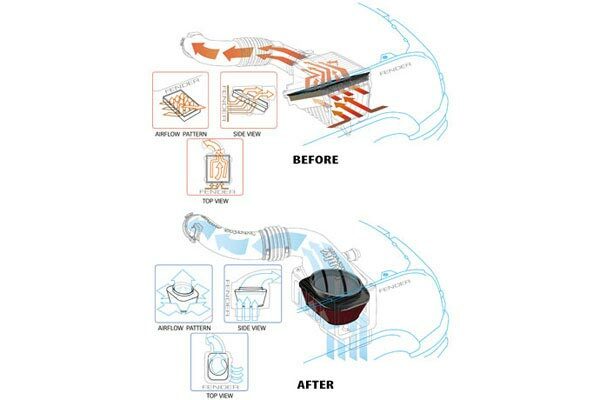 Installation on a 2004 Nissan titan was easy and the directions were easy to follow. It is early to tell but I do believe my gas mileage has improved. VERY SATISFIED WORTH THE PRICE! THIS BANKS CAI IS INSTALLED ON A 2005 LE TITAN. I'VE HAD IT INSTALLED NOW FOR ABOUT A WEEK. FIRST IMPRESSIONS. I BOUGHT THIS CAI MAINLY FOR SAVING GAS. PREFORMS AS BANKS STATES ON THEIR WEBSITE! MORE POWER WITH JUST STOCK EXHAUST! I CAN FEEL THE DIFFERENCE JUST WITH NORMAL DRIVING SUCH AS THE RPM RANGE GOING 70MPH IS x1500R/MIN. I DID NOT READ THE INSTRUCTIONS TO INSTALL THIS INTAKE, ITS THAT EASY! JUST KEEP IN MIND WHEN REMOVING THE STOCK AIRBOX OF THE 3BOLTS. 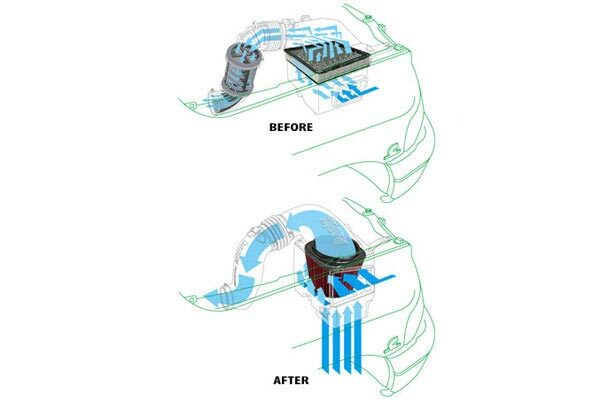 TWO BOLTS ARE EASILY REMOVED, BUT THE THIRD BOLT NEAR THE WIPERFLUID RESERVOIR DOES NOT NEED TO BE UNDONE, JUST PULL UP THE AIRBOX-"THE RUBBER GROMMET" WILL ALLOW THE BOLT TO SLIDE RIGHT THROUGH. YOU'LL BE DONE IN NO TIME! 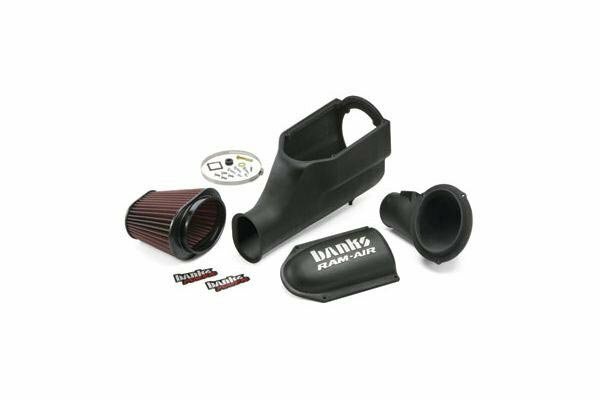 THIS INTAKE IS AS QUIET AS STOCK BUT WILL GROWL WHEN YOU PUT THE HAMMER DOWN! AUTOANYTHING IS MY NEW PLACE TO ORDER PARTS, SAFE AND EXCELLENT! THANK YOU AUTOANYTHING! You gotta have this. Put it in myself in no time. Can feel the power in all ranges and it looks great. Best intake out there. I have had several CAIs on my truck and this one is the best. Unlike most of the CAIs, it is as quiet as stock except under full throttle at which time it makes a slight growl. 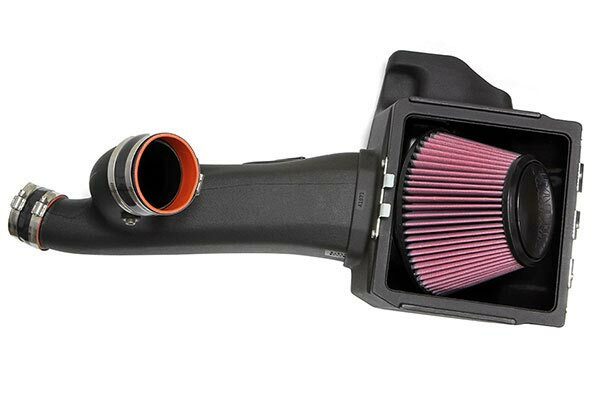 At the same time it performs as well as any of the other CAIs. Fit and finish is top notch as one should expect for the price. 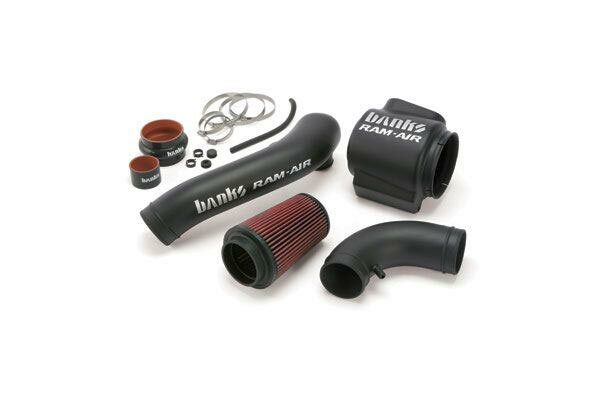 While the Banks Ram-Air seems a bit pricey, you'll see why once you get it and install it. This is a very high quality kit and is made to perform. I installed it at the same time as a new exhaust on an 06 Titan, and the performance gain with the two was very noticeable. However, I cannot tell how much of that was from the intake. Overall, very satisfied with this system! The Banks CAI is awesome! 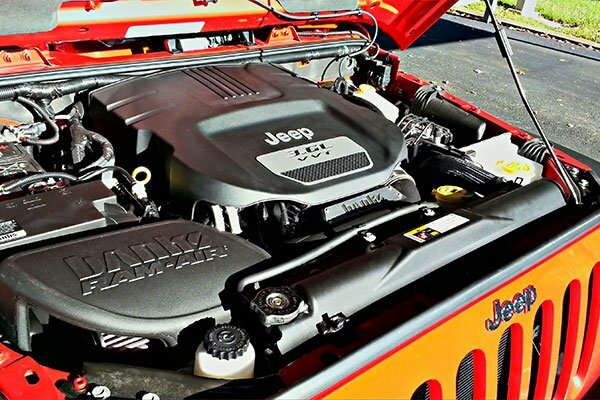 I love the sound, the power and the fit and finish under the hood. Pricey, but well worth it. Reference # 758-174-304 © 2000-2019 AutoAnything, Inc.